Surprising probably no one, it was the semi retired Sebastien Loeb who took victory at the 81st edition of the Monte. It is Loeb's seventh win of Monegasque classic. Behind Loeb, the next rising star, Sebastien Ogier and a great first result for the Volkswagen Polo R WRC on it's first outing. The rally, characterized this year was by brutal weather and road conditions, was shortened on the final day because of safety concerns. Aside from the massive crowds standing, in darwinian rally fan tradition, pretty much where they could be mowed down at any moment, a group of spanish fans had to be rescued after falling down an embankment stopping the race. The final day saw some high profile retirements, Ford's Evgeny Novikov and Juho Hanninen and VW' Jari-Matti Latvala were all victims of the dreaded Col de Turini. Check out Latvala's brutal crash. With his 7th win at the Monte Carlo Rally Loeb, who will only compete in 4 WRC events this year, further cements his position as arguably one of the best racing drivers of all times. It's a shame WRC has fallen so far off the radar, millions will watch artificial, edited productions of a rally car dodging cones but not bother following those dodging rock walls and 1000' cliffs with no chance for a second take, literally. Agree that it's a real shame the WRC doesn't get the attention it deserves. Watching the on board footage of these guys is utterly awe inspiring for anyone who knows how to drive a car properly. I genuinely believe that Loeb might be the best driver in history. Why does anyone else show up and race when he's there? Seriously. What's his win percentage, 80% or something? He is the grand master of WRC and as stated, one of the best racing drivers ever. 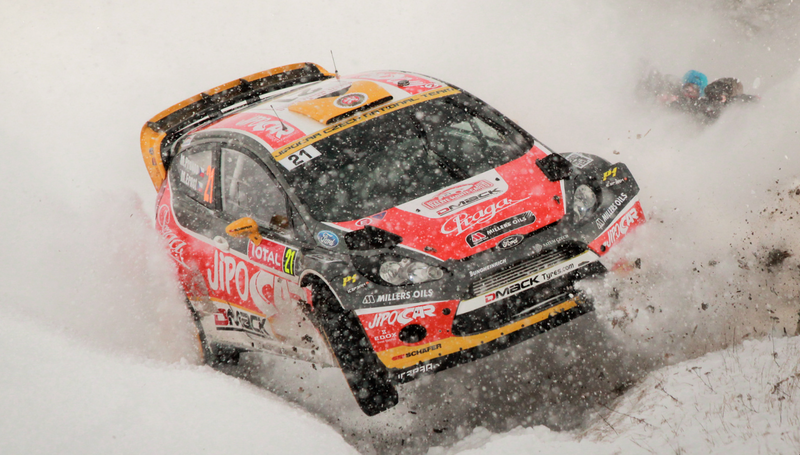 IMO, while I agree that rally drivers are technically among the best, the event itself isn't really compelling. I wonder if some sort of Targa Florio staggered-start "race" rather than the sort of bogus "rally" that really doesn't require any more skills than being able to shout out pace notes in Scandinavian would be more viewer-friendly. Certainly it would be easier to present as a one-day event. You could use the same mid-horsepower cars and run on many of the same roads, in all weather conditions. "...the sort of bogus "rally" that really doesn't require any more skills than being able to shout out pace notes in Scandinavian would be more viewer-friendly."